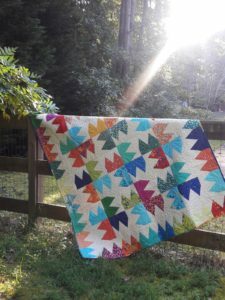 Introducing the Into the Groove Quilt Pattern! Home » Patterns » Introducing the Into the Groove Quilt Pattern! We are so very excited to introduce our Into the Groove quilt pattern! 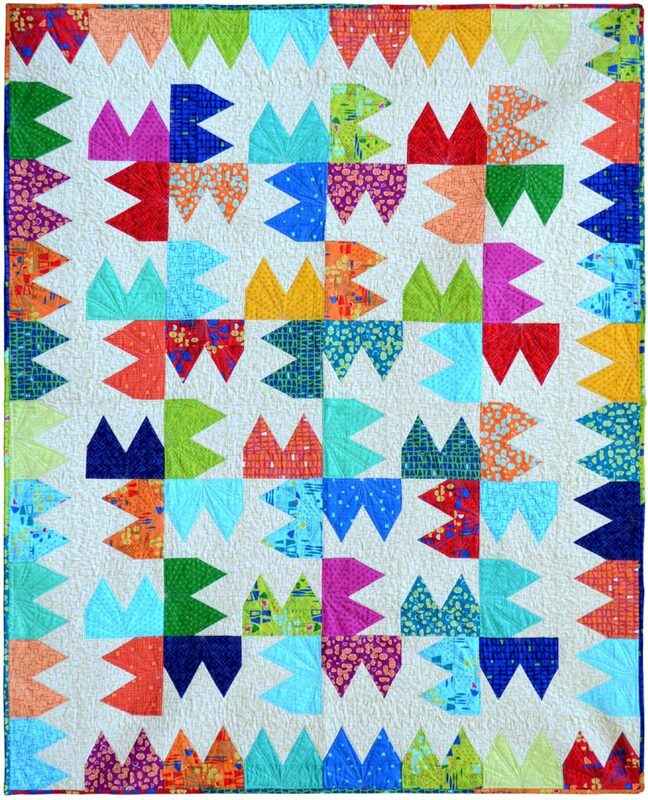 We love playing with shapes and layout, and a one-block quilt really does a lot of the design work for you when you experiment with different layouts. 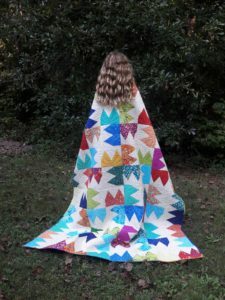 This quilt comes with two block sizes so it can work for a Fat Eighth bundle to make a twin size, or a layer cake precut bundle to make a lap size quilt. Fun backstory about this quilt: I was looking at Christa Watson’s new fabric line Modern Marks from Benartex for inspiration and nothing was settling well until I got into the car and heard Madonna come on the radio. The idea of a one-block quilt that looked like gears popped into my head. I worked through the design and got it into layout, and then realize that my gears could also double as a cone bra. It was a close call to name this quilt “second base” but that would have been some work to explain the cone bra connection for anyone not as familiar with the 1980’s as me. The good news is that this very own quilt is on its way to 2017 Fall Market with Christa to behave itself and look good in her booth! Stop by and take a pic if you get a chance. If you want to make your own version, check out the digital pattern at our shop, including some of the alternate layouts for this fun block.